I found my Olive, everybody! You can all relax now. I also knocked off a couple more that I needed. 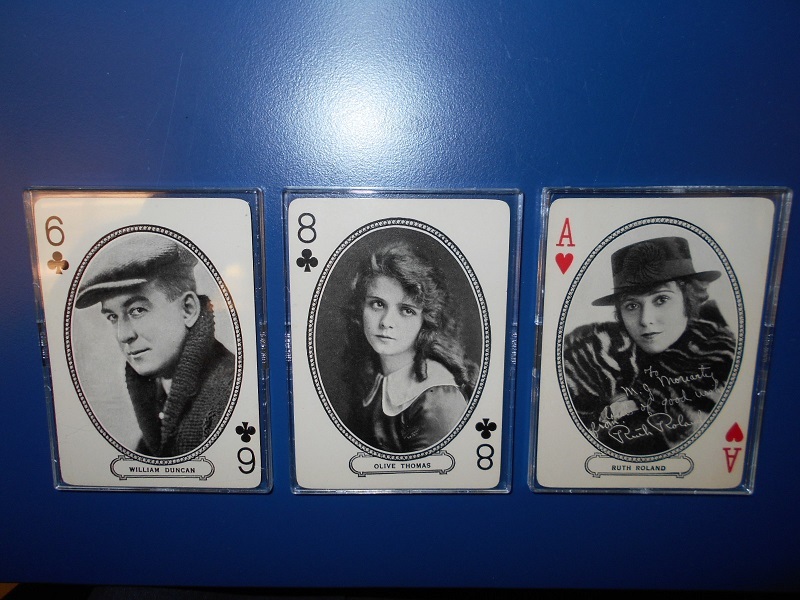 ...but I still have to find a Bert Lytell (Ace of Spades) & Douglas MacLean (5 of Diamonds). 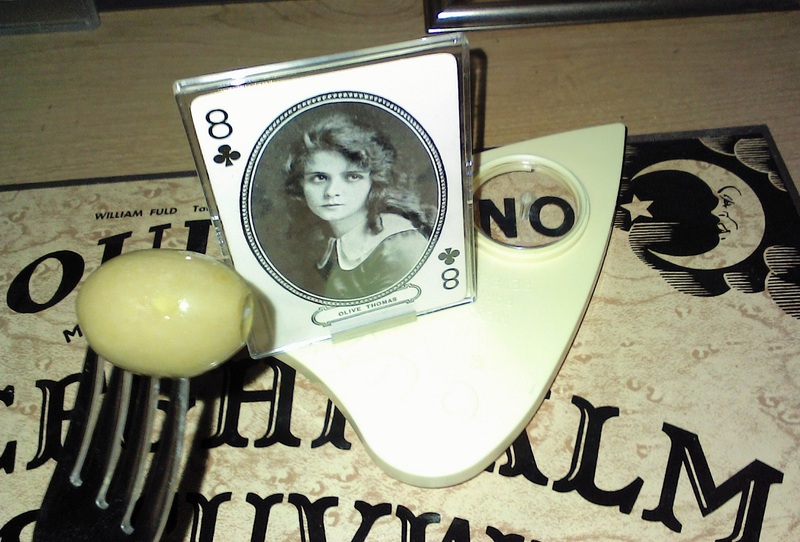 We were having all sorts of fun chatting on the Ouija board last night but then my first Valentine's Day with Olive Thomas was a bust. I thought she'd think my present was cute but all it did was make her angry.